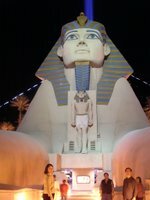 Ah so I'm back from my trip to Las Vegas! And after a day of rest yesterday, I'm finally ready to document my trip. We took off at 2:35. I find it amusing that the planes line up to take off. Goodness! There were so many babies crying on the flight! One cries and the other cries louder! It's like they are in competition or something. Well during the flight I ate a ham and cheese sandwich. They gave us a fruit cup too. Mmmm. I love plane food. At 4:51 we landed at Vegas National Airport. We apparently rented a car so we went to Budget to pick it up. Those bastards tricked us! The bill ended up $500 when it was supposed to be $300 or so. Apparently there was some 30% additional tax on it or something. Aunt Maria was very pissed. But anyways it was a Dodge Caravan. A crappy one at that. There are no lights in the back and we couldn't open any back windows and it smelled like smoke. Bah! 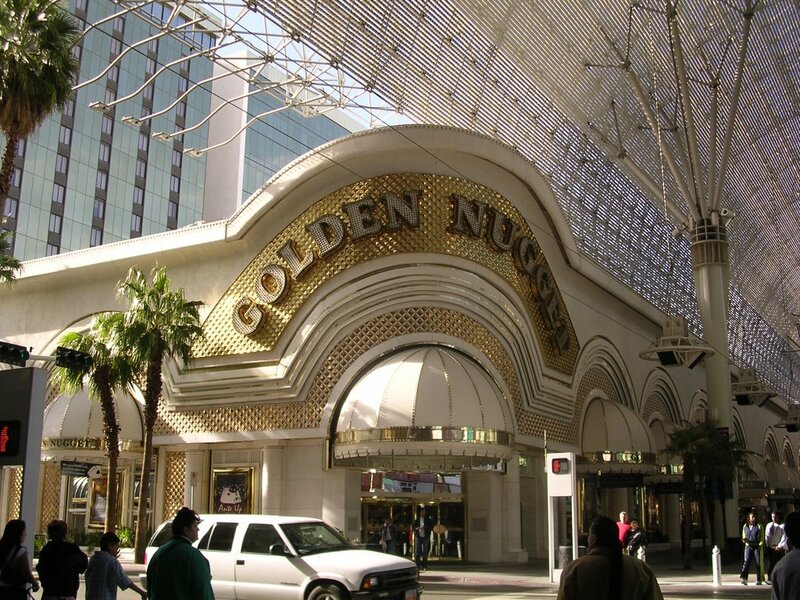 After that we just drove up and down the Strip. Sightseeing mostly. Lots of Ooos and Ahhs. Then we headed to our hotel. 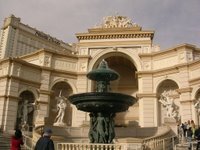 We were to stay at the Paris! 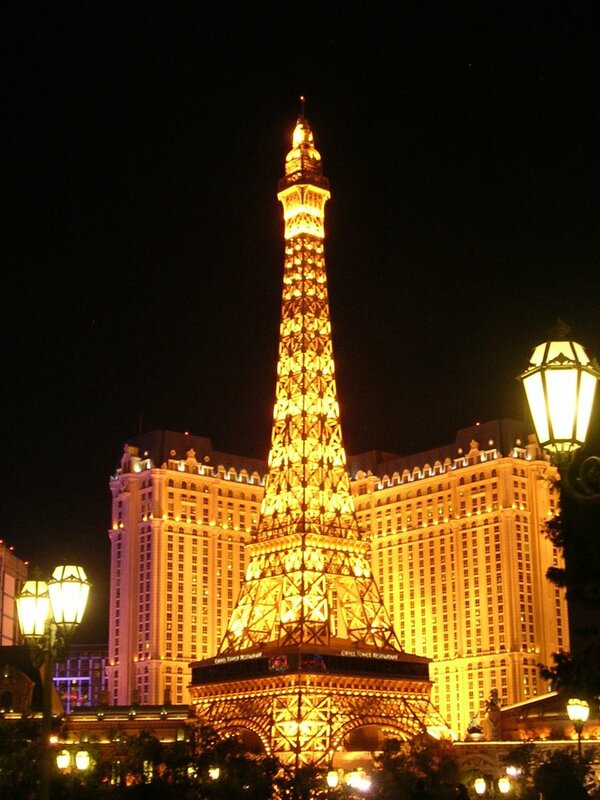 It's a hotel with a mini Eiffel tower and it's 5 stars! So extravagant! I should have took a picture of our room but unfortunately I didn't. Two beds, desk, TV, mini-fridge, HUGE bathroom and paperthin walls. And they call it a 5 star hotel, I don't really see the difference. I guess the bathroom was bigger. There was a walk-in shower and a tub. Hehehe shower was a glass box. LOL. We had dinner sort of across the street at the Victorian room somewhere. I don't exactly know where. I shared steamed vegatables and the Captain's platter with Karen. I didn't know it was all fried! Alas my pimples! We walked around the hotel and saw displays of bears made completely of flowers (white carnations), pinguins, ice crystals, beautifully decorated Christmas trees. 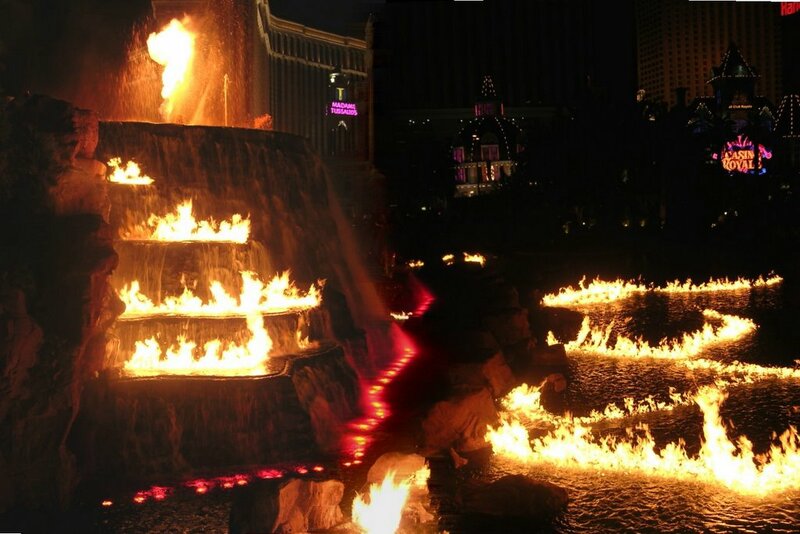 After that we watched the Fountains of Bellagio. The water sprays up so high, like as high as the hotel! The water "dances" to the music of "Hallelujah". I love that song you know. It was all very beautiful. I wish we had another chance to watch it again. Next time. So that's it for the first day. Ended up sleeping at 1am. But tossed and turned in the bed. It seems I tend to migrate across to Karen's side of the bed and she couldn't sleep so she'd push me and I'd wake up and return to the other side. Rinse and repeat. We woke up late the next day. We slept til 11 or so and didn't leave the hotel until close to 12. 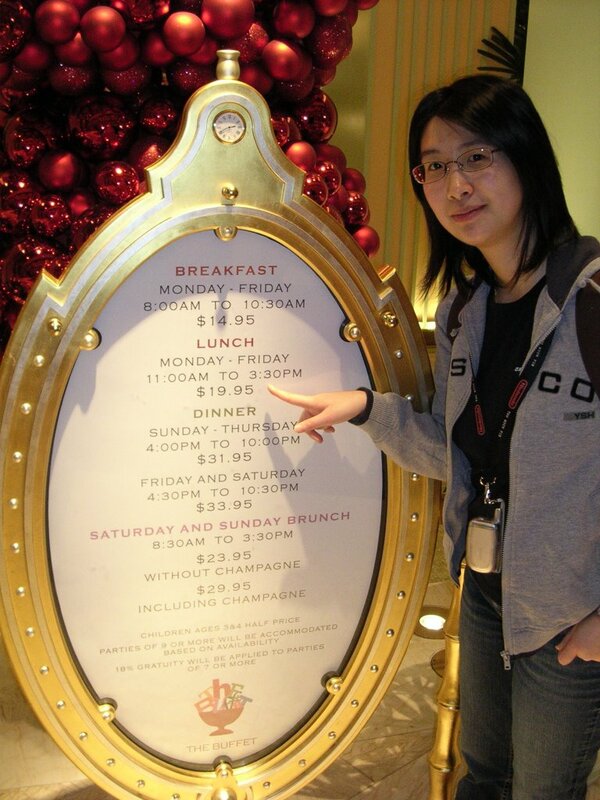 We went to the Wynn hotel for brunch. It's a relatively new hotel so it was very nice. We waited in line for little less than an hour for The Buffet. And OMGosh it was worth it. 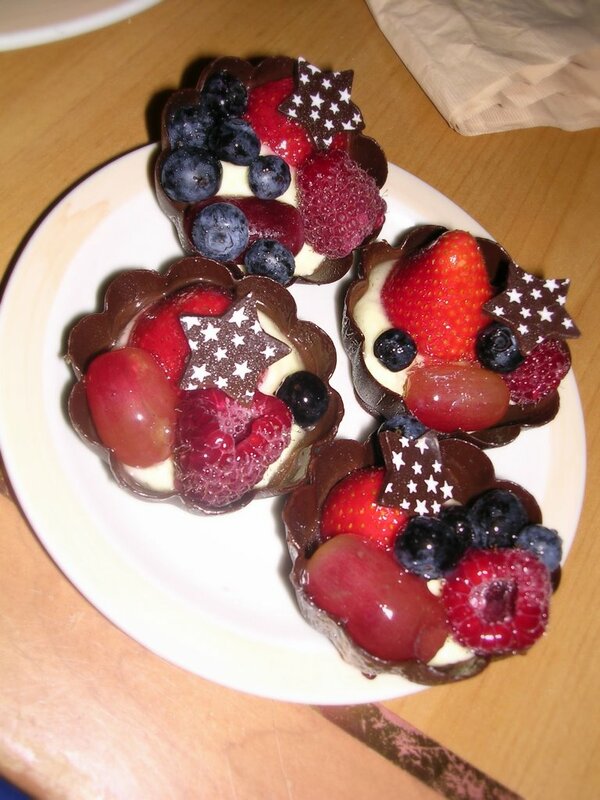 The buffet was SO BIG, selection good and there was a complete ROOM dedicated to DESSERTS. And for $19.95 it was a very good deal. I never had so much cocktail shrimp and lox in my life. Agh. I stuffed myself! 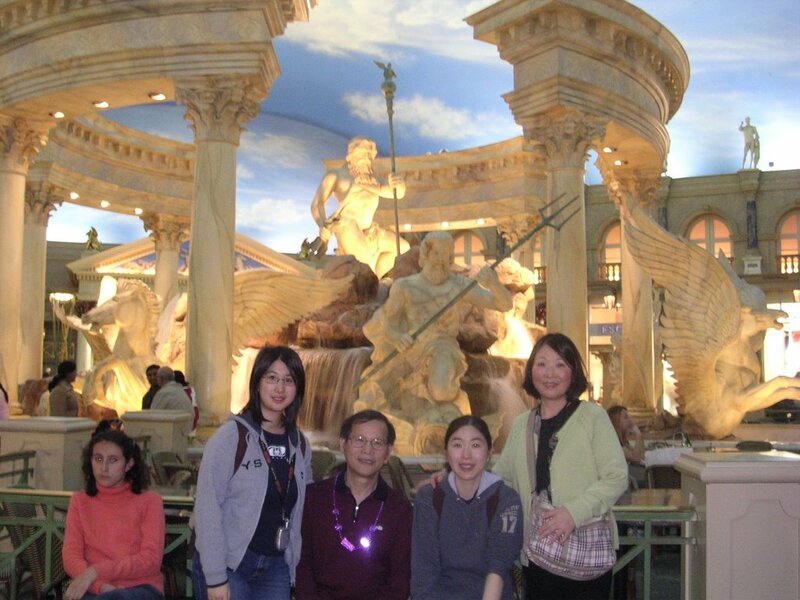 After a VERY filling meal, we went to MGM Grand to look at the lions! They have a glass enclosure where they release some lions for no longer than 6 hours a time. The habitat is very big and so nice. It has a waterfall and everything. 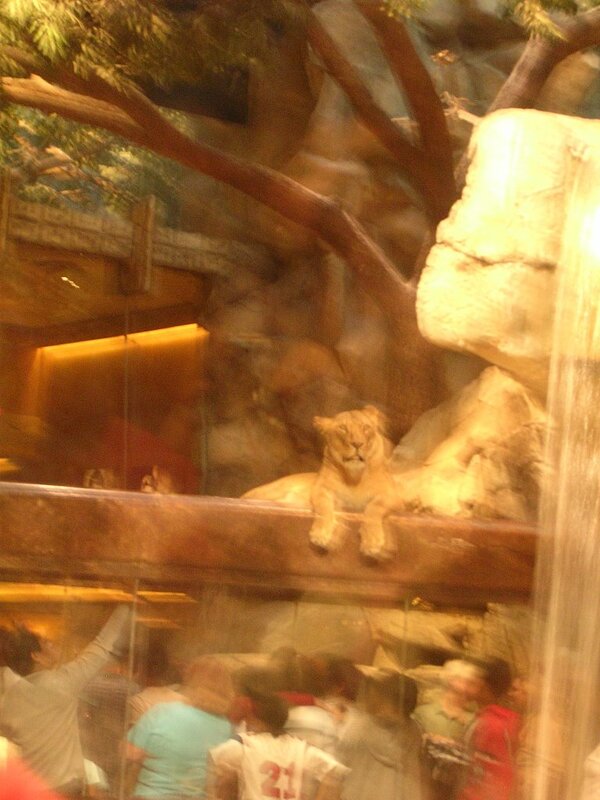 MGM has a whole family of lions; I think about 33 but they live elsewhere though. And they are related to the roaring lion in the movies. They released two female lions, Star and Sky into the habitat. Unfortunately my camera's not very good and I couldn't take nice pictures of them! So sad. After we took the tram from Excalibur to Mandalay Bay, the last hotel on the Strip, to visit the Shark Reef. It is an aquarium with 15 types of sharks! We had to hurry through it cause our parents waited outside for us. When we came out Aunt Maria was plucking Ma's eyebrows! *rolls eyes* So weird. After we went through Luxor, Excalibur, New York New York quickly. We wanted to catch the 8:30 show "The Sirens of TI" at Treasure Island hence the rush. But when we got there the show was CLOSED for renovations! And it didn't reopen until the 25th AFTER WE LEFT! ;_; AHH! I was so disappointed! It was one of the things on my list to see! It was supposed to be a very good show too. Sigh. Again, next time. Our last stop of the day was to the Venetian. A VERY beautiful hotel that had a indoor fake canal with gondolas and everything. Then we had a late dinner at this Chinese restaurant. Wasn't very good though. They even forgot one of our orders! Heh we ended up sleeping at 3am. 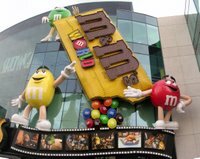 It was very frustrating to go anywhere with the adults so Karen and I woke up early in the morning and walked to the M&M Store by ourselves. HAHAHA! We even watched a free 3D show "I lost my M in Vegas" there! 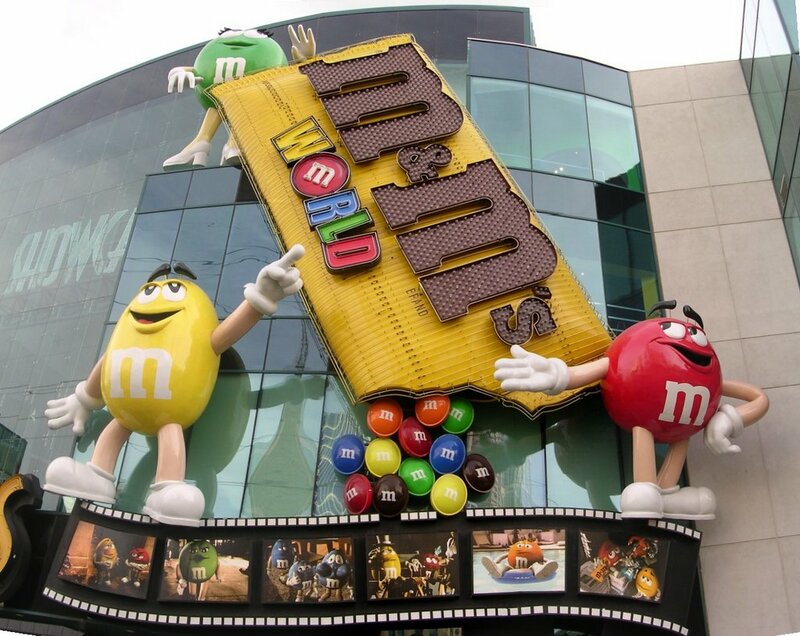 Four floors of M&M merchandise! It was very all exciting. I bought a t-shirt there. Heehee. Karen's dream was to go to the M&M store and she fulfilled it. Now it was my turn. 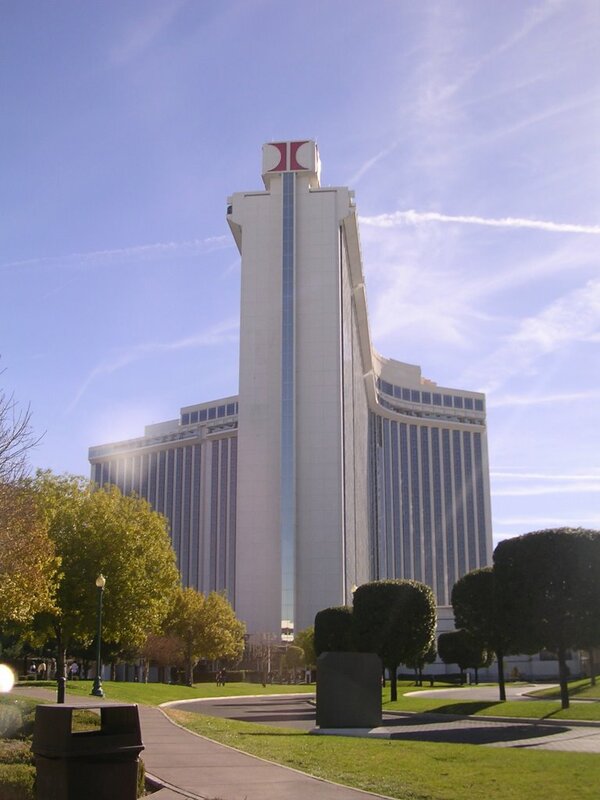 The Hilton! Home of the Star Trek Experience! Yep. I made everyone take me there. So we had brunch there. 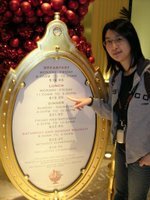 It was a very small buffet though and expensive. BUT. They had mini M&Ms and mini gummy bears! I was going to buy some at the M&M store but I thought I could buy them in Canada. So I was very pleased to see them at the buffet. Hmm a lot of buffets at the hotels are just called The Buffet. Just an observation. Yes so of course we pilfered some - er lots - of M&Ms. And crackers. It's so funny because we take a lot of crackers and candy, our parents take lots of fruits and makes US carry them in our backpacks! Then we split up and Ba, Karen, Meighen and I went to the Star Trek Experience while Ma and Auntie Maria went shopping with Uncle Adrian. Ba didn't actually go in the Experience. He doesn't really like Star Trek so he stayed outside and played some slots. Heehee we took a picture with some Ferrengi dude. There weren't a lot of pictures cause we weren't allowed to take pictures during the rides, BORG Invasion 4D and Klingon Encounter. In Borg 4D we were the Doctor's test subjects. Apparently we have a rare DNA sequence that makes us resistant to Borg nanoprobes. I got assimilated and now I have nanoprobes swimming around in my bum. XDDD The queen said to give in I did. I was like "YES Perfection!" Heehee I'm such an easy target. Stupid Doctor told me to resist. Well we survived because Janeway saved us. 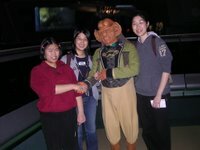 Klingon Encounter was very funny. The actors did a very good job! We were pulled into the future to the Enterprise by Klingons and one of us was apparently Picard's ancestor. So they had to send us back and we got on a shuttle and went on a ride. It was very fun. It reminded me of the Star Wars ride at Disneyland. I like this more because we could see out the ceiling of the shuttle too not just the front. Meanwhile, Ba managed to win 15 nickels from the 5 cent slot! Hahaha! After that we went to see Rick Thomas at Stardust! MAGIC SHOW with WHITE TIGERS! Yay! Again we weren't allowed to take pictures. It was an AMAZING show! I'd go again and again. Astounding! I wonder how he does his tricks?! I love his bird tricks. He made birds appear out of thin air! Haha! He hates birds though. He only keeps them because his mom wants him to. Isn't he such a good son? He had 3 white tigers (one of them was a baby) and 2 regular tigers. Yeah so if you ever go Las Vegas go to his show! It's cheaper than Cooperfield by A LOT and I guarantee that you'll love his show. It's funny and very entertaining. We got his autograph after the show too. Oy. We were SO STUFFED (2 buffets in a day is NOT a good idea) so we walked around in Ceasar's Palace. They have a BEAUTIFUL fountain there. Humph. Karen keeps taking overexposed photos of me at fountains. Anyways, there was also an aquarium there. During the day there are supposed to be live shows there of battles and fire and stuff for free. Again, we didn't have time to go. Again Karen and I woke up early to go to the M&M Store. We had to exchange our t-shirts for larger ones. I took a lot of last minute photos of the hotels too. After we walked to Monte Carlo to take pictures. When we got back at 10:30 the sleeping beauties were just starting to wake up! >:( We could have stayed out a little longer! Pf! I helped us check out by TV! So after everyone checked out, Aunt Maria wanted to see downtown Vegas. I actually slept most of the way there, I was so tired. 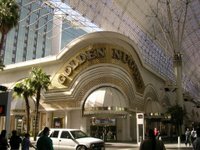 We ended up eating lunch at The Buffet at Golden Nugget. It wasn't as extravagant as the buffets on the Strip but I managed to pilfer some cereal. Ha! And the adults took so much Mandarin oranges. We took off at 6:35, landed at 8:50. During the flight I had roast beef/egg sandwich and slept most of the way back. Yep so that's about it! Phew! What a long entry! My longest ever, but then again it did span 4 days. Goodbye Las Vegas! I'll miss the hot-HOT water in the shower, the shows but good riddance to asphyxiation! That was the most used word during our trip. Asphyxiation. I must have gotten asphyxiated 100 times over! Heheh. Nethertheless, I DO want to go again. I must watch all the shows we missed! Karen and I plan to go alone one day WITHOUT the ADULTS for a week. That should be enough to see the things we want to see! All in all I had a very good time. I wish we could have stayed longer. Well for the brave souls who read ALL of this long boring spew of my trip, I commend you! nice! just not use the word pilfered..lawful word.